On the morning of Friday December 12, The Crisalida team had an opportunity to meet with two coachella Valley locals who have made a difference in their community, Jesus Olivares, local artist, graphic designer, and founder of INKA Screen Printing & Embroidery in Indio, and Beatriz “Bea” Gonzalez, community activist and program director of After School Education and Safety (ASES) program for the Eastern Coachella Valley. The team met with Jesus Olivares first at his shop/studio in Indio a little before 10:00A.M. Jesus gave the team a tour of his shop as he related experiences he has had as an artist and business owner in The Coachella Valley. The team also had the opportunity to meet with local community activist, and program director of ASES for the Eastern Coachella Valley Beatriz “Bea” Gonzalez at her office on Church St. in Thermal, Ca. Ms. Gonzalez shared with the team her experiences as the program director of ASES and the passion she has for the work she is doing. Ms. Gonzalez mentioned how much pride she has in the ASES drumline program, and how it seems to be one of the most attractive after school programs for youth in the area. She notes that these past couple years some of the kids that have gone through the ASES program in elementary or middle school have now graduated college and started working with ASES, “some of the kids that were in the program early have gone full circle and come back to serve their community. Both individuals expressed interest in working with The Crisalida Team for future projects, and the team looks forward to see how it may be of service to them and the community. Special thanks to Jesus Olivares and all the folks at INKA, and Bea Gonzalez! 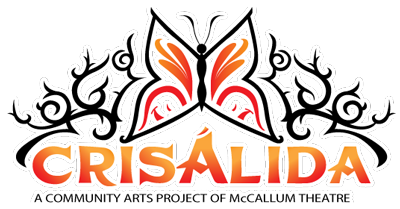 for sharing some of their time and experiences with the Crisalida Team.